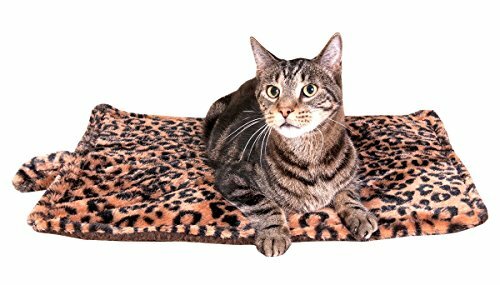 This cozy mat features a lightweight core that actually reflects pet's own body heat back to the animal. Provides soothing comfort to cats, kittens, aging pets, nursing females, or animals recovering from illness or injury. Machine-washable pad features a beige leopard-print motif. Measures: 22" L x 19" W.
View More In Beds & Furniture. If you have any questions about this product by Downtown Pet Supply, contact us by completing and submitting the form below. If you are looking for a specif part number, please include it with your message. Max & Marlow Scratch Post, 18"